This is probably one of the most cultural and religiously diverse cemeteries that I have visited. The irony of this is that while some of the groups represented in this cemetery, could not get along in life, they are right next to each other in death. I did not have a chance to explore the catacombs of Paris. It is essentially an underground area that hosts more than 6 million peoples’ remains located about 6 minutes from the Montparnasse cemetery. Check out their web page here. 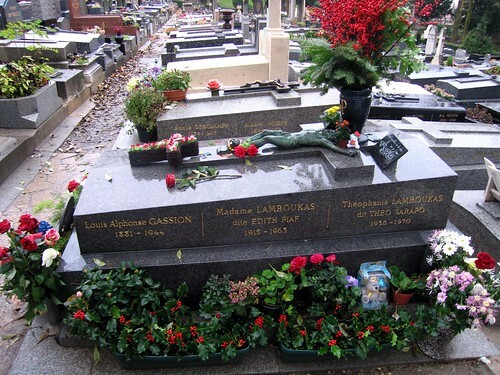 Some famous people buried here include Frederic Chopin (Polish composer and pianist), Marie-Sophie Germain (French mathematician), and Edith Piaf (world-renowned singer). I ‘m not sure about the after life but I truly am aware that life is short and we all should try to live in peace. Expecially, family…. Great piece!